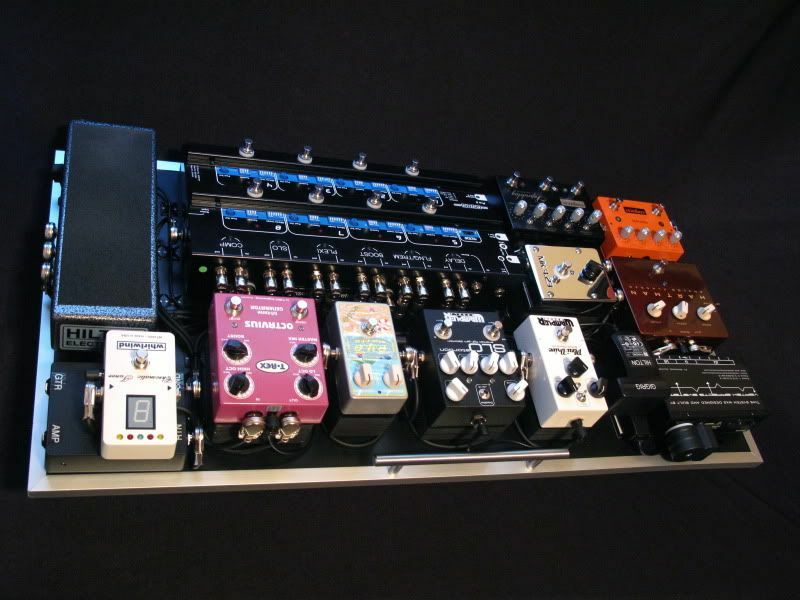 Here's a pedalboard that I did for Jacob Petersen, guitar player for the Steve Miller Band. 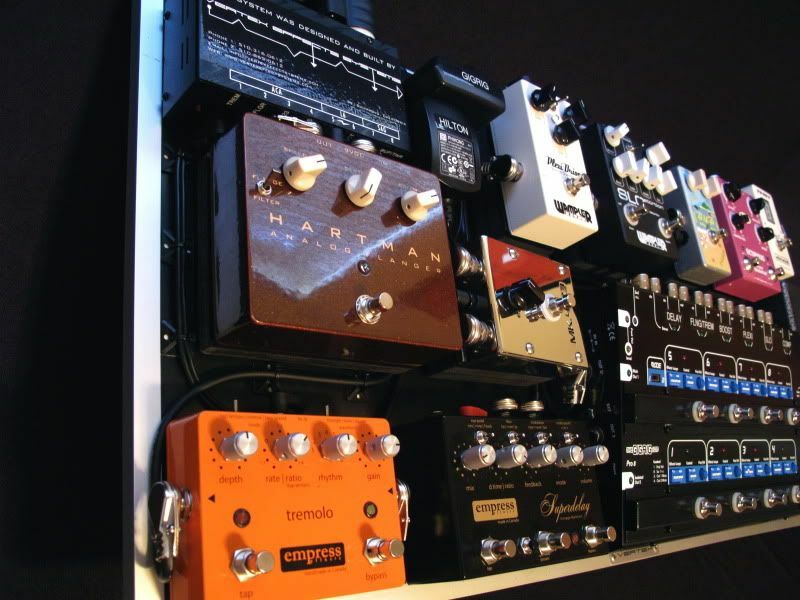 Jacob wanted something that he could use on his solo projects, but could double for things that he could use on tour with Steve Miller and in the studio. 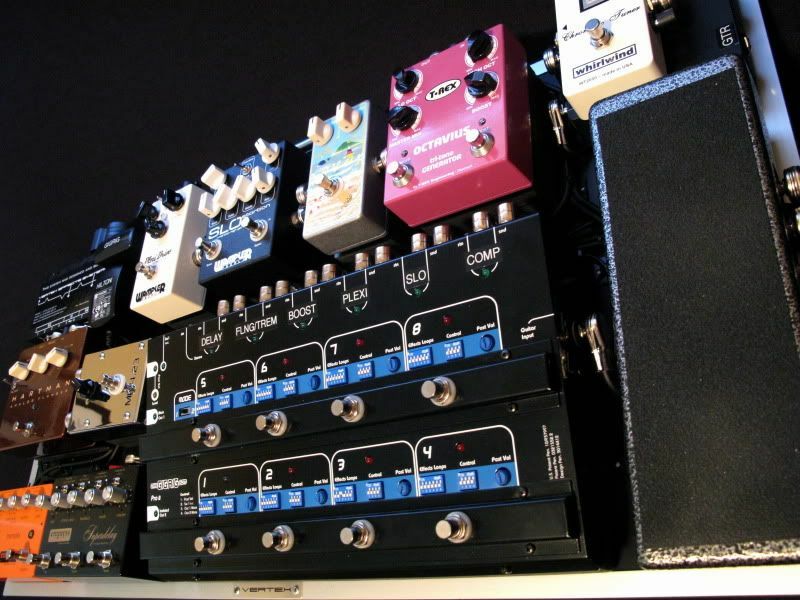 Jacob requested that the rig be built out from a custom TheGigRig PRO 8 with an insert between loop 5 and 6 to for a volume pedal to be always active in the signal path no matter how the presets in the PRO 8 were arranged. Jacob is using various Stratocaster and Telecaster guitars going into Red Plate Amplifiers. 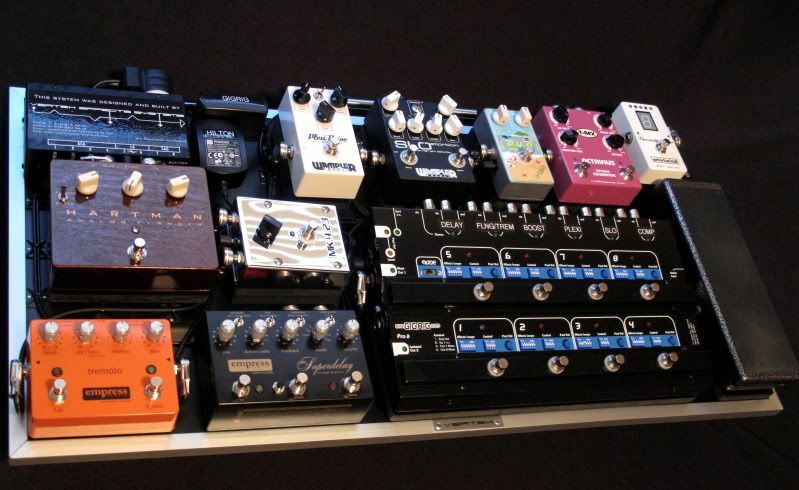 Voodoo Lab Pedal Power 2+ (with extension cord running out of courtesy outlet for the power supplies with the Hilton Volume Pedal and TheGigRig PRO-8).